Since the launch of our first destination in 2010, we’ve maintained the same beliefs for each subsequent destination we’ve added to the portfolio. We feel the only way to really do justice to a country is to give it a dedicated website, packed with ideas, hotels, destinations and excursions above and beyond the standard fare most websites serve up. We then back that up with a very experienced team (on average we each have over 10 years industry experience and have visited our destinations numerous times, if not actually lived there); that experience enables us to give honest, helpful advice and put together tailor-made holidays to your exact specifications. Finally we believe in sensible pricing: pricing that means tailor-made travel is affordable and not just limited to the luxury end of the market. In January 2015 we were delighted to win our first award, taking bronze in the much-coveted and very competitive Wanderlust Top Tour Operator Awards; we backed this up by winning a place on shortlist again in 2016 and 2017. 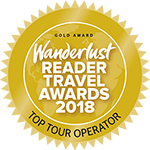 Then in 2018 we achieved one of our original business goals, winning a Wanderlust Top Tour Operator Gold Award with a 100% client satisfaction rating. Wanderlust Awards are based on a client satisfaction rating rather than simple number of votes, and the standards are incredibly high with 99%+ usually required to secure first place. So winning these awards brings us a great deal of pleasure and pride as it means we have lots of very happy clients! 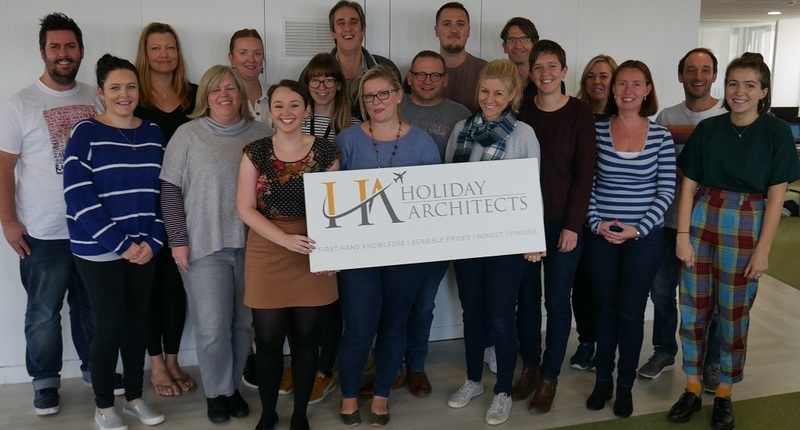 You can read further about our clients’ experience of Holiday Architects by visiting our Trustpilot page found here. Tailor-made travel starts with a blank sheet of paper and a conversation with one of our experts, and finishes with a holiday that’s been designed specifically for you. Nothing is set, nothing is off-the-peg, or off limits. You depart when you want, see what you want, stay where you want. It used to be that tailor-made travel was a relatively expensive way to go on holiday, but this isn’t the case any more: and we’ll make sure we stick to whatever budget you give us for the trip. After you initially contact us, we’ll always try and have a conversation with you, just to make sure we’ve completely understood what you’re looking for from the holiday, and to discuss some initial ideas with you. We’ll then go away and put together a bespoke itinerary based on that conversation and your requirements. Once you’ve received this, it is by no means our last and final offer, but rather a first draft: we fully expect to go back and forth with you making changes and tweaks until we have exactly the trip you are looking for. You’ll only part with your money once you’re completely happy with the holiday we’ve put together for you. Your money is 100% protected either by our ATOL bonding (for holidays including flights to/from the UK) or through our Travel Vault membership (for all other holidays). 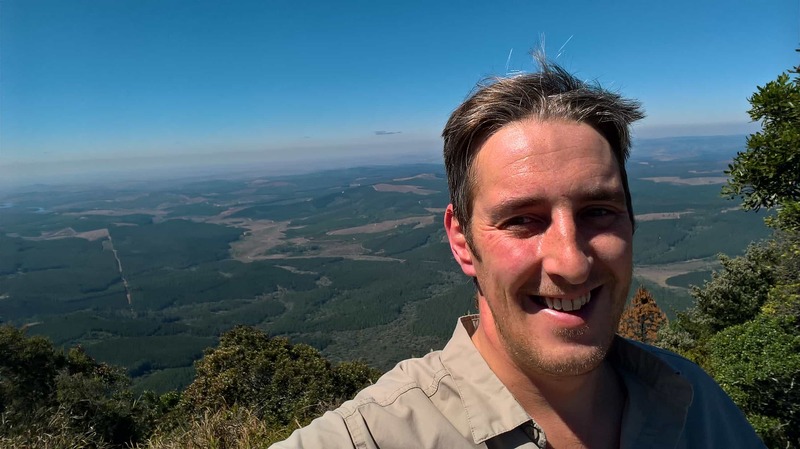 Charlie first travelled to Southern Africa at the age of 8 years old, and has returned almost annually ever since (which is, without giving too much away, more than twenty-five years of return travel)! 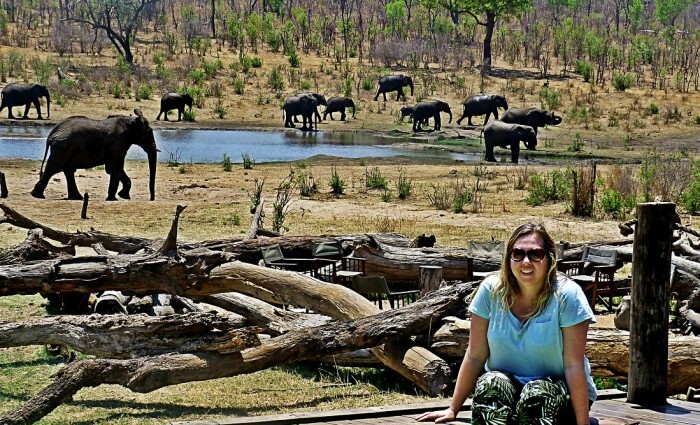 Charlie cannot count how many safaris she has done throughout South Africa, Zimbabwe and Zambia, however, she can certainly remember and recount many exhilarating stories of wildlife encounters! 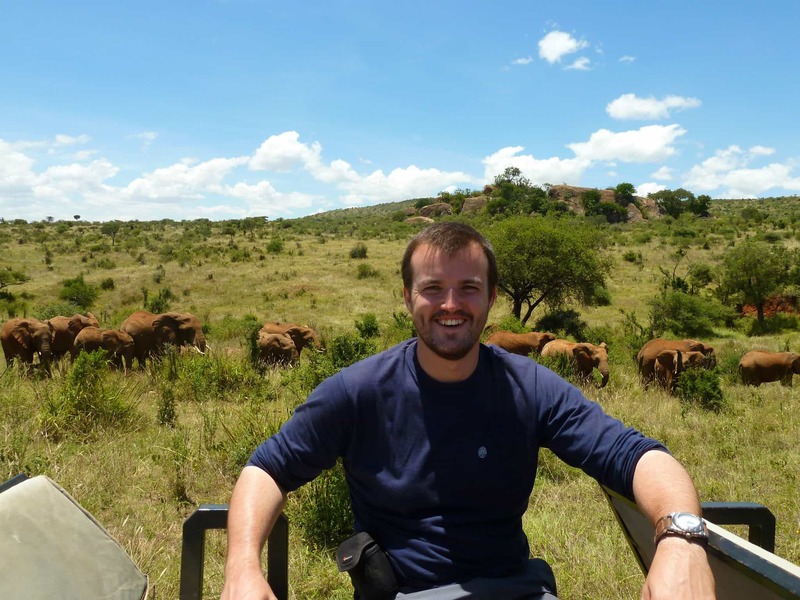 With family living for many years in Cape Town and the West Coast of South Africa Charlie has travelled extensively throughout the country and has just as much passion for a city boutique stay as a remote safari lodge only accessible by light aircraft and boat. Charlie is hard pushed to choose a favourite destination in South Africa, but a few favourite experiences have been: stirring and heart-wrenching tours of the Anglo-Zulu battlefields in KwaZulu Natal; sampling the best wines in the Cape Winelands and enjoying 5 star service when travelling on the luxurious Blue Train. 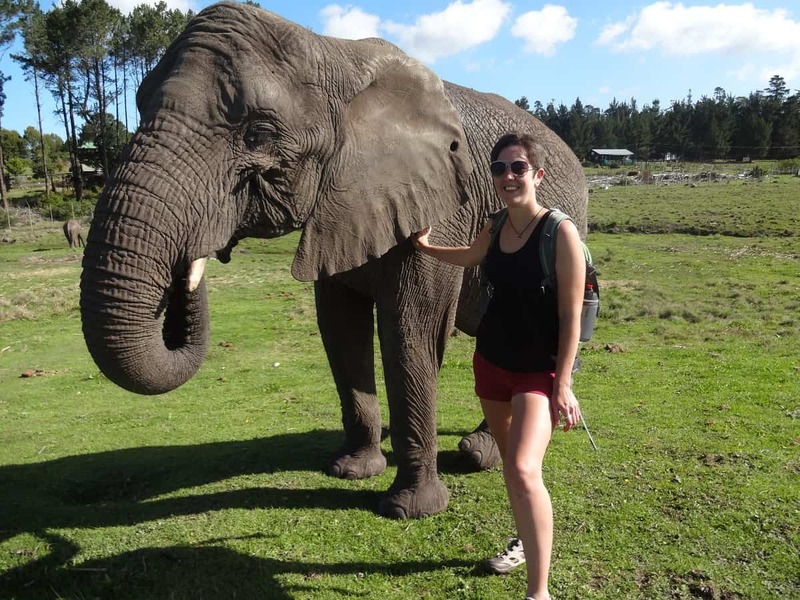 Emma first travelled to Africa on an overland safari in 2009, and fell in love with the continent – so much so, she cancelled her return flight and only returned to the UK four years later! From her base in Cape Town she spend those four years leading tours from Cape Town up to Uganda, exploring areas as diverse as the Namibian desert to the plains of the Serengeti. 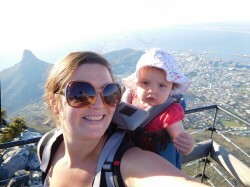 Although she’s been back in the UK for a few years now, she’s returned many times to Africa, visiting Botswana, Namibia, Zimbabwe and South Africa: her most recent trip was a couple of weeks taking her new husband and their daughter to revisit some of her favourite haunts in South Africa. Highlights range from exhilarating game watching in the national parks, trekking through the oldest desert in the world, and shark diving, though she is equally at home sampling high tea in Cape Town or trying the local wines from the Winelands area! 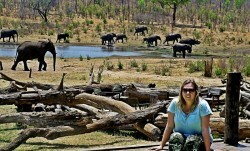 Kirsty has been travelling to Africa since 1993 when she embarked on an overland trip from Zimbabwe to Kenya. Since then she has returned on numerous occasions exploring Southern Africa from the Cape to the Skeleton Coast. Fortunate to have many friends in the region and with family now living just outside the Kruger National Park, she has plenty of reasons to regularly visit this incredible part of the world. 20 years of exploring has not lessened her enthusiasm for Africa’s amazing scenery, wonderful people and fascinating culture. These days she is travelling with her young family but it is just as appealing as ever. Catherine’s first introduction to Africa was to Zambia, back in 2000 where she fell in love with the country’s beauty, culture and wildlife, resulting in her returning to the continent multiple times, including embarking on a 6 week overland trip from Uganda to Zimbabwe. South Africa has been a frequent destination for Catherine, with her most recent visit in 2017 involving a self-drive adventure from Cape Town to Port Elizabeth and a week long Kruger Safari. From city life to safaris and wine tasting to outdoor activities, South Africa is the perfect destination for everyone. 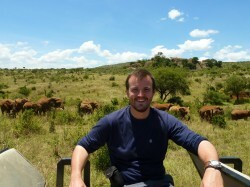 Robin fell in love with Africa on his first trip with family to Zambia over 15 years ago. Since then he has been back to the continent numerous times; volunteering, holidaying, working, and most recently cycling through West Africa. The child-like excitement of arriving in Africa and heading out on safari has never left Robin, every trip is new, exciting, and never fails to live up to his expectations. South Africa offers so much to explore. The diversity of the Rainbow Nation is simply staggering and there are so many corners of the country that Robin wants to return to, but which one first? Tim’s first trip to Africa was back in 2010 and he instantly knew this wasn’t going to be a short relationship. Over the years Tim has explored many different areas with so many highlights it is impossible for him to list favourites without listing them all. Botswana, Kenya, Tanzania, The Seychelles and Mozambique are all on the list for Tim although most recent visits include Namibia and two trips to South Africa. Behind the scenes, Emma, Charlie and Kirsty, Tim, Robin, and Catherine are (ably?) assisted by the two company founders, Damien and Andrew. Both of them had an expat upbringing in the dim and distant past, so it’s almost inevitable they’ve ended up establishing a travel company. Damien is heavily involved in the marketing side of the business, whilst Andrew takes care of day-to-day things, like making the coffee. Once you pay the deposit for your holiday you’ll be entering into a contract with us, which is governed by our terms & conditions – so it’s particularly important that you read through these before making your booking. Please click the link below for our terms & conditions. South Africa Holiday Architects T&Cs. Holiday Architects is committed to ensuring that your privacy is protected. Should we ask you to provide certain information by which you can be identified when using this website, then you can be assured that it will only be used in accordance with this privacy statement. 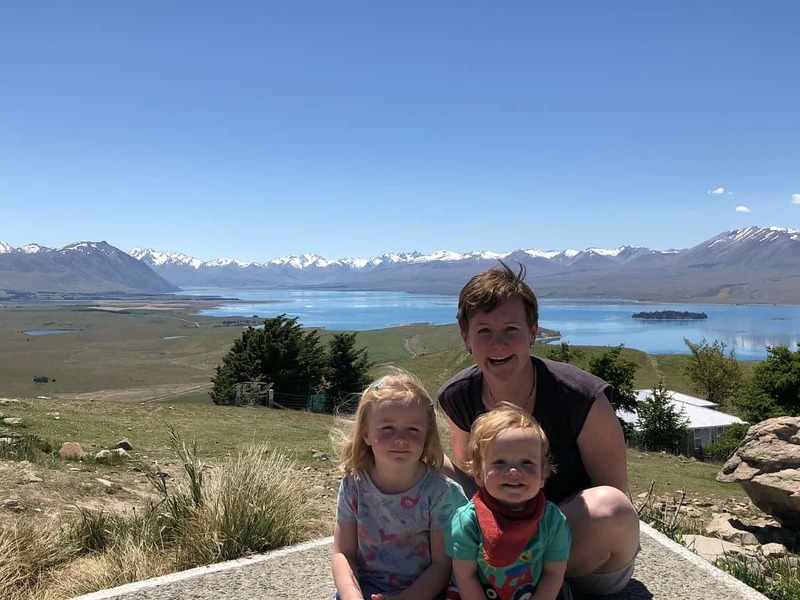 “We also found all the information you sent us on recommended excursions/sights to see/restaurants etc really invaluable and definitely enabled us to get the most out of the trip….